Lets face it, the list of things you want to “do” to your home never seems to end! What starts out as a new piece of furniture turns into two new pieces, then three. Next thing you know, you a have a new living room, new paint, flooring, and a big bill. Redesigning areas in your home doesn’t have to break the bank, and can be affordable while make your home more appealing. Take a look at some ideas for remodeling your bathroom that won’t cost you a lot, especially if you decide to do the work yourself! Tile work can be very expensive. When you take into consideration the cost of a contractor to lay out the tile throughout the bathroom, their labor alone can be high. Consider limiting the amount of tile in your bathroom by focusing on high-impact areas such as the floor. Another way to limit the expense on tile work is to use a less expensive tile design. The flashier the tile, the more expensive. Consider only using the more expensive tile as accent pieces alongside the other ones. You’ll be able to save some money and still use a few of the flashier ones. Trending bathroom designs usually include granite or marble counter tops. Since the size of most bathroom countertops tends to be smaller in comparison to the size used in kitchens, the cost seems small already. To save even more, consider looking at various color choices and slabs with imperfections. Granite pieces that are neutral in color are more popular, which means they are also going to be more expensive. Consider alternative colors that would still look nice, but that previously you did not think about. A great way to give your bathroom a new look without spending a lot of money is giving a fresh coat of paint, re-caulking the lines around the tub and sink, and cleaning the grout between your tiles. You’ll be surprised how these three things will spruce up your bathroom and keep money in your pocket. Consider updating the bathroom’s light fixtures, racks, and drawer hardware. While these changes may seem small or insignificant, they can make a huge difference to the look and feel of your bathroom. Keep in mind that you don’t have to buy the top-of-the-line fixture designs; in fact, there are several companies that make designs similar to more expensive brands for a fraction of the cost. 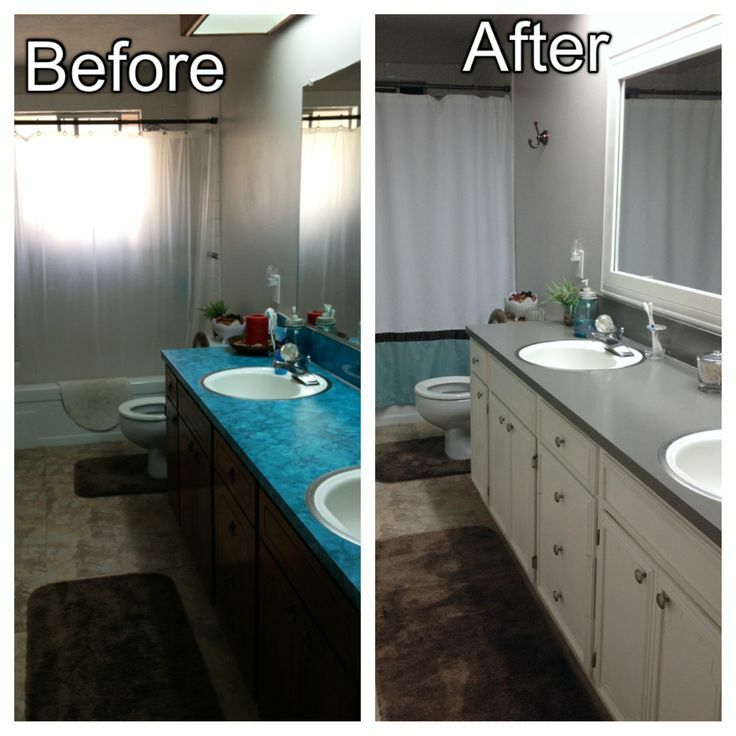 Reviving the look and feel of your bathroom doesn’t have to be a total overhaul. By making our suggested changes, you can refresh the look and use the money you’ve saved towards your next remodel project. Be as creative as you’d like and have fun with it! something to do with web browser compatibility but I thought I’d post to let you know. I am somewhat sure I’ll be informed many new stuff right here! mine. Please send me an email if interested.